(91outcomes.com) - The U.S. Department of Veterans Affairs (VA) will host a public town hall meeting and accept written comments regarding the most recent report of the Institute of Medicine (IOM), National Academy of Sciences related to Gulf War veterans. 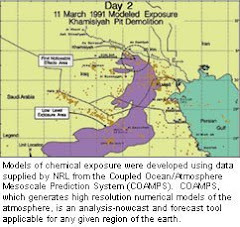 The report, released on February 11, 2016, identified Gulf War illness as the signature adverse health outcome of the 1991 Gulf War. 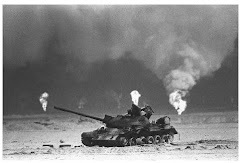 However, it also included a number of recommendations that have led to publicized controversy and Congressional scrutiny, including recommending the end to several broad areas of Gulf War research. The VA's public notice is below with details about the town hall session and instructions on how to participate by teleconference and submit written comments for the record. The meeting will immediately follow the second day's sessions of the April 28-29, 2016 meetings of the Research Advisory Committee on Gulf War Veterans' Illnesses (RAC). ACTION: Notice of opportunity to provide oral comments at a town-hall style session, and the opportunity to provide written comments. SUMMARY: The Department of Veterans Affairs (VA) announces the opportunity for comment on recent recommendations made to VA by the Institute of Medicine (IOM) in its report “Gulf War and Health, Volume 10: Update of Health Effects of Serving in the Gulf War, 2016” (http://nationalacademies.org/hmd/reports/2016/gulf-war-and-healthvolume-10.aspx ). All comments are welcome, but VA specifically seeks those that address the recommendations made on pages 8-11 and pages 264-272 of the IOM report. The listening session will be open to the public, and for interested parties who cannot attend in person, there is a toll-free telephone number (800) 767-1750; access code 56978#. Participants who wish to speak during the town-hall session should register by sending an email to victor.kalasinsky@va.gov by April 27, 2016. Written comments must be received by June 1, 2016. Each speaker will have 5 minutes to speak. It is recommended that the speaker not read written comments, but rather highlight critical points in the written material that should be submitted. LOCATION: The meeting will be held at the Capital Hilton Hotel, 1001 16th Street, NW, Washington, DC, in the Pan American Room. FOR FURTHER INFORMATION CONTACT: Victor Kalasinsky, Ph.D., Telephone: (202) 443–5600, victor.kalasinsky@va.gov.